Founded in 1979, Wolf’s Precision Works has become an industry leader in the manufacture of telecommunications and defense industry parts. We are a mid-sized company located 20 miles South of San Francisco, in Menlo Park, California. 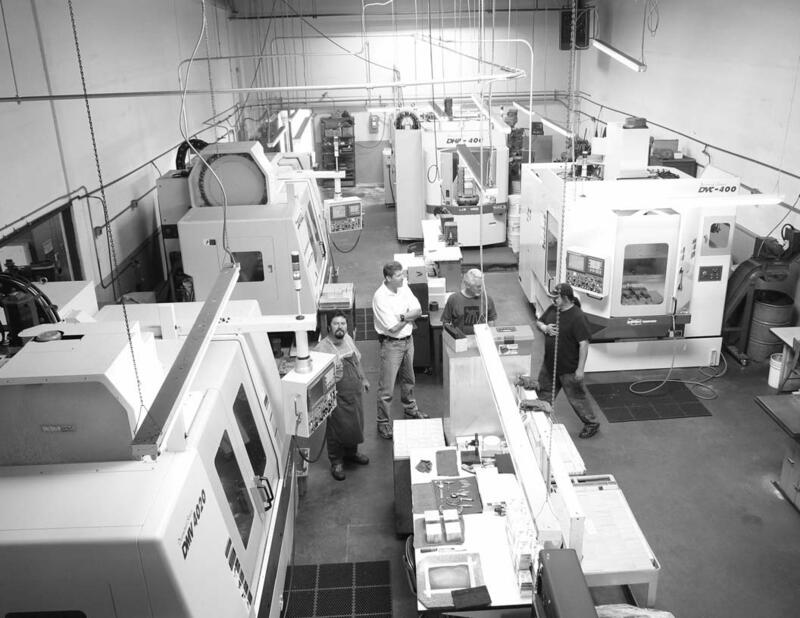 With our 11 employee’s almost 200 years of combined machining experience and, dedication to quality, there is no job we can’t handle. We offer a wide range of capabilities including, CNC milling and turning, manual milling and turning, tooling and fixture design and fabrication, surface grinding and, sawing. We do all of our CNC programming in house utilizing SurfCAM and BobCAD. Our diverse customer base has demanded that we manufacture to the tightest of tolerances in in a wide range of exotic materials and, we have risen to the challenge. We work extensivly with Copper-Tungsten, Molybdenum, Copper-Moly, Kovar, Invar Carpenter 49 (Alloy 49) and, Titanium. We also work with Aluminum, Stainless and Plastics as well. Our 7500 Sq. Ft. Facility is home to 11 Doosan CNC mills and lathes (including two, 400mm, twin pallet horizantal mills), 6 Bridgport manual mills, 1 Hardinge, Super Precision tool room lathe, 1 Hardinge second op. lathe and two Sharp surface grinders. Our temperature controlled inspection room features a Nikon Alto 5.4.4 DCC CMM utalizing CMM Manager Software and, a Brown & Sharp Gage 2000 CMM with PC DMIS software, as well as a Mitutoyo toolmaker’s microscope, a Bausch & Laumb stereo inspection microscope and, a 3‘ x 4‘ granite surface plate. Our customers include Harris Corp., L3 Communications, M/A-Com, Cobham Defense Electronics, Tyco Electronics, General Dynamics, Aviat Networks, Aurora Networks, Aoptics, Lasertel, SurgRx, Omnicell, Materion (formerly Brush Engineered Materials), SLAC (Stanford Linear Accelerator), Teledyne Defense Ltd., England, and, Argonne National Labs. All of these factors give us the production capability to handle jobs ranging from small run, prototype to part runs in excess of 100,000 parts.